A VW Beetle in poo brown (no laughing!). It was bored out (to 1600?) and was actually a pretty fun car to drive. First car was imported 99 Nissan silvia s15 spec R, risk driving that during my first years of green Ps. Always seem to gotten lucky with that car ! Now I have moved on to a evo 8 MR, which i would probably sell later on and get back on a s chassie. Crysler Centura... 245 semi power... Loved that car. 4AGZE AE86 ADM model with enkie rims/whiteline suspension package. basic mods wrote it off after Takumi tax came in and sold it for more then i paid for it. 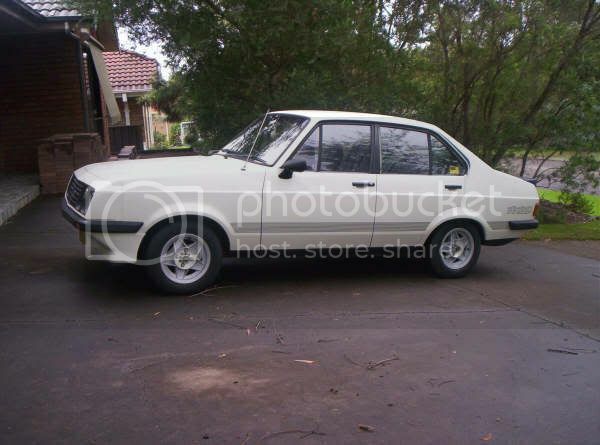 We bought it for $700, cut the rust out, resprayed it, but globes on it and happy days. White VL commodore.. Manual with VY SS wheels..
King of school carpark.... Everyone else had range rovers.